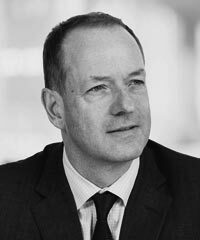 Sir Andrew Witty became Chief Executive Officer of GlaxoSmithKline plc in 2008. He is a member of the Board and Corporate Executive Team. Witty joined GSK in 1985 and has held a variety of sales and marketing roles in the U.K. and abroad, including working in the company’s International New Products groups, both in the respiratory and HIV and infectious disease fields. Outside of the U.K., Witty has worked in South Africa, the United States, and Singapore where he led the group’s operations as Senior Vice President, Asia Pacific. While in Singapore, he was a Board Member of the Singapore Economic Development Board and the Singapore Land Authority. In 2003, he was awarded the Public Service Medal by the Government of Singapore, and in 2012, he received the Public Service Star. In 2003, Witty was appointed President of GSK Europe and joined GSK’s Corporate Executive Team. He has served in numerous advisory roles to governments around the world and is currently a member of the Prime Minister’s Business Advisory Group.